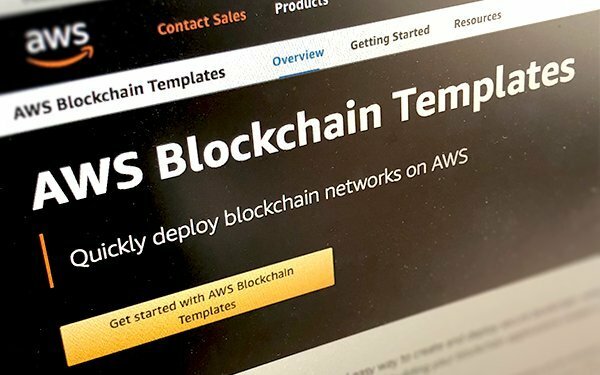 Amazon has accepted blockchain, so blockchain is on its way! Critics have said that since the Big Three; Amazon, Facebook and Google turn their backs on blockchain, this proves the technology is a huge big nothing-burger. Well, critics! Amazon’s yoked itself to blockchain this week and Google and Facebook are set to go. Tuesday, Amazon announced it was partnering with ConsenSys, to bring blockchain cloud service Kaleido to its Amazon Web Services (AWS) subsidiary. ConsenSys is a blockchain software technology company founded by blockchain entrepreneur, Joseph Lubin to spread Ethereum to every business on the globe. As of May 2018, ConsenSys supervises more than fifty blockchain projects; big names like IBM, Accenture, Deloitte, JP Morgan, and HSBC. Kaleido helps AWS customers jump onto the blockchain. Users don't have to invest in the technology or need blockchain know-how to succeed. "Some time, this year, I started chatting with old and new contacts about how blockchains or cryptocurrencies fit into their business. I had discussions with a couple of businesses in the medical services industry and one in the travel industry. I told those businesses not to proceed with blockchain, but to focus on more conventional solutions. Most people who approach me are dazzled by Bitcoin. They don’t understand it, just want to get on the bandwagon. They often emerge with impractical, unfeasible solutions." For small businesses that can afford it and have a sustainable model, blockchain can help them succeed. That’s where Amazon comes in. Google’s Alphabet Inc. unit is developing its own distributed ledger that third parties can use to post and verify transactions, people familiar with the situation told Bloomberg last month. Companies use blockchain to securely record transactions and process other data over the internet. This is a service Google could use, for example, to reassure customers that their information is protected when stored on its cloud service. Although the timing of any product release is unclear, the company plans to attach blockchain to its cloud service to differentiate Google Cloud from competitors. The internet giant has also been acquiring and investing in startups with digital ledger expertise. Alphabet Inc. scored a record of chief investor in the field, ahead of Citigroup Inc. and Goldman Sachs Group Inc., according to research firm CB Insights. More recently, three former Google employees announced that they will be starting their own blockchain community, called the xGoogler Blockchain Alliance (GBA). Andy Tian, founder of GBA said, "Google has always been in the forefront of new technologies worldwide, from Android to AI. As Googlers, we can bring our unique experiences to expand blockchain's influence, to everyone, everywhere." Facebook is said to consider launching its own cryptocurrency. This was in a report that came shortly after the company banned cryptocurrency ads to control fraud. On May 8, 2018, Director of the Facebook Messenger Unit David Marcus, revealed that he will be taking on a new challenge after working with Messaging Products for Facebook for four years. He posted: "I’m setting up a small group to explore how to best leverage Blockchain across Facebook, starting from scratch." Important technologies “like encryption and cryptocurrency take power from centralized systems and put it back into people's hands… I'm interested to go deeper and study the positive and negative aspects of these technologies, and how best to use them in our services." That’s Amazon, Google and Facebook earnestly contemplating the decentralized ledger. No wonder, Lubin calls Amazon’s interest “a heavy duty move”. Blockchain technology is going places!